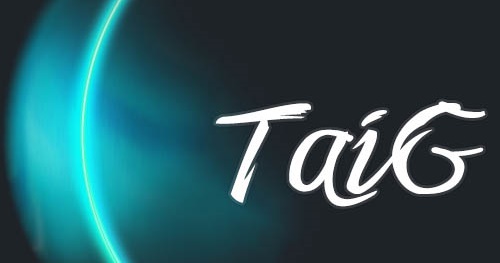 You can now download TaiG iOS 8.4 jailbreak tool for Mac OS X. Previously the tool was exclusive to Windows but is now available to those who are in the ownership of an OS X powered computer. The newly released TaiG iOS 8.4 jailbreak tool for OS X carries the same features as its Windows counterpart. In short, if you’ve already jailbroken with TaiG using the Windows version of the tool, then you’re good to go and can skip this release altogether. But if you’re starting away fresh, then we’ll explain to you in simple words how you can go about the process. The process is exactly the same as how it was on Windows. First and foremost, download the Mac version of the TaiG tool from the download link at the end of this post. Once you’re done downloading, simply launch it on your Mac by right clicking on the TaiG file in the Applications folder and then clicking on ‘Open.’ Once the tool is up and running, simply plug in your device to your Mac using a USB cable and you’re all good to go. Do note one thing though, you’ll need to turn off the passcode and Find my iPhone features on your iPhone or iPad before you can go forward, otherwise the tool will simply fail to work. 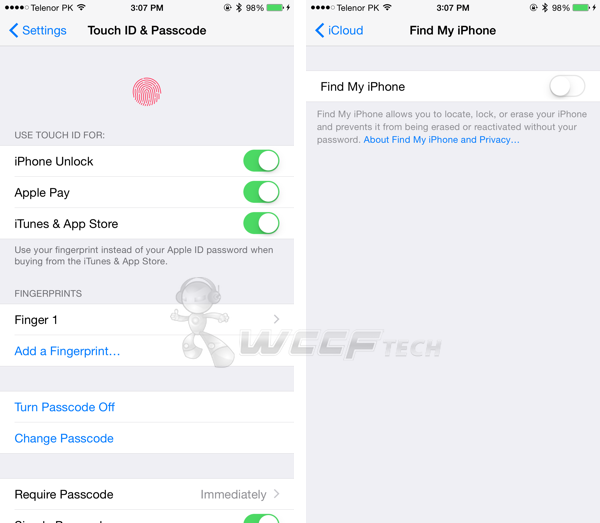 You can disable the passcode feature by going to Settings > Touch ID & Passcode and then tap on the ‘Turn Passcode Off’ button. You can disable Find my iPhone by going to Settings > iCloud > Find my iPhone and from here toggle the ‘Find my iPhone’ button to the OFF position. You’ll be required to enter your iCloud password to confirm the action. It’s also recommended that you disconnect your Apple Watch from your iPhone before going ahead with the jailbreak process. The connection between the two devices does seem to hamper with the jailbreak, as we have seen in the past, so we highly recommend that you turn off Bluetooth on your iPhone, and put your Apple Watch in airplane mode before going ahead. You can download the TaiG iOS 8.4 jailbreak tool for Mac OS X from this link. And if you’re jialbreaking for the first time, then you can follow our guide posted here for more details. If you’ve jailbroken your iOS device using the recently released PP jailbreak tool, then you can skip on TaiG for Mac as well. TaiG supports all devices on iOS 8.4, and that includes the latest iPod touch 6 which was recently released by Apple a few days back. Full tutorial on how to use the newly released tool can be found here: Jailbreak iOS 8.4 Using TaiG On Mac – How To.